Perfectly grilled chicken wings inspired by crave-worthy Vietnamese Pho soup and marinated with ginger, garlic, lime and fish sauce. 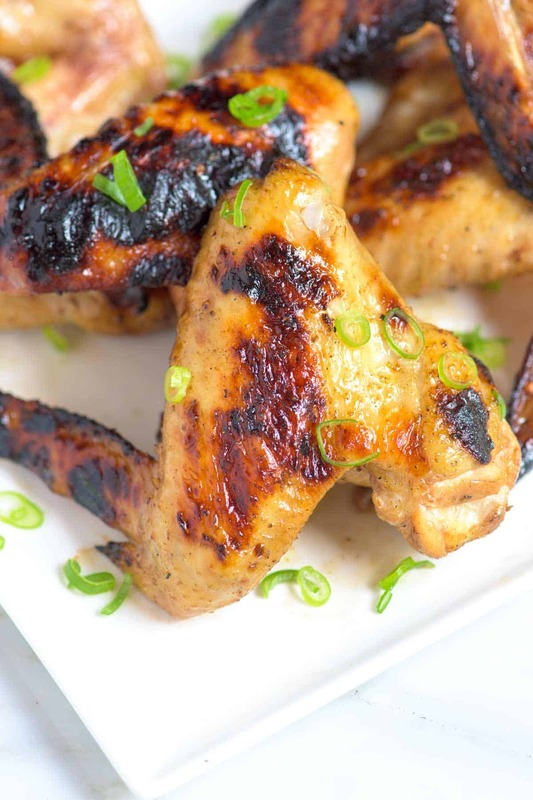 Jump to the Pho Inspired Grilled Chicken Wings Recipe or read on to see how we make them. Grilling chicken wings at home is easy, not to mention, chicken wings are perfect on the grill thanks to their high ratio of skin to meat. 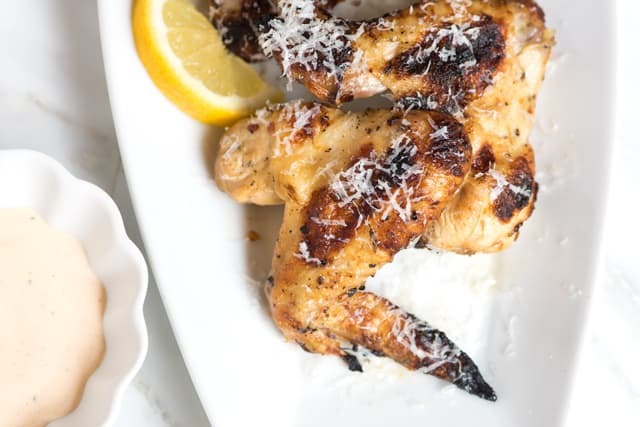 We’ve already shared our Grilled Lemon Garlic Chicken Wings Recipe with you. This time we wanted to pull inspiration from one of our favorite recipes on Inspired Taste, our Vietnamese Pho Soup recipe. If you haven’t had Pho before, you really need to try it. It’s an insanely delicious, crave-worthy Vietnamese noodle soup, made from beef or chicken bones, ginger, onions and lots of aromatic spices. It’s nothing short of soup perfection. 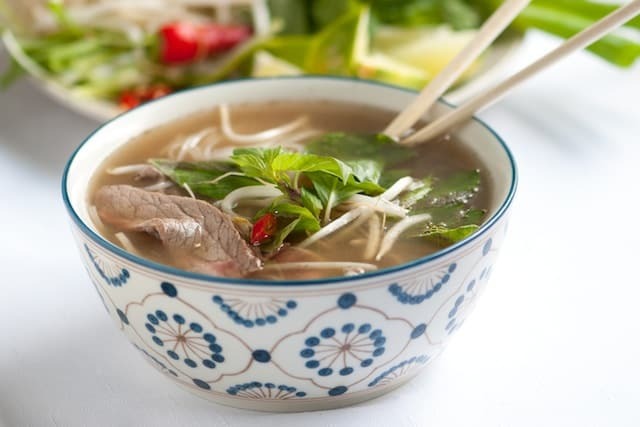 Making your own fabulous bowl of Vietnamese pho soup at home is not hard, all you need is a straightforward recipe, a few secrets and a nice big stockpot. Check out our Homemade Vietnamese Pho Soup Recipe now! 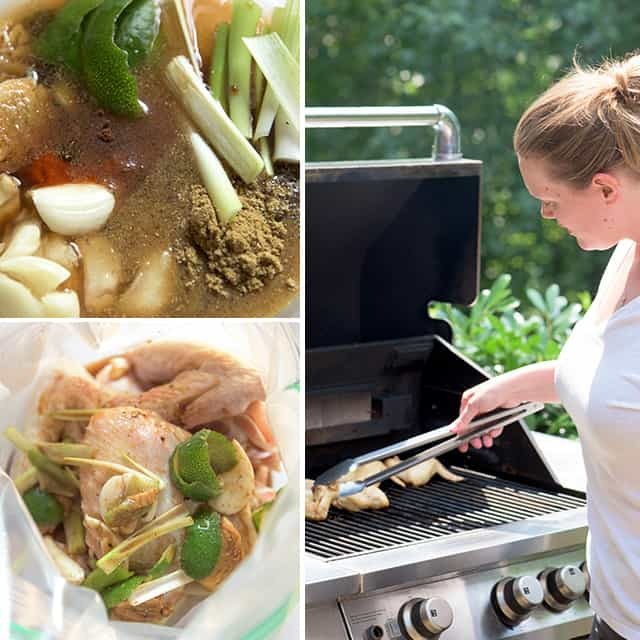 We’ve worked as many of the flavors found in Pho into the marinade for this chicken wings recipe as we could. There is garlic, ginger, fish sauce, coriander and lime. These are excellent grilled. Let me show you how we do it. Step one for grilled wings is to marinate — we like to leave the wings in the marinade at least 1 hour and will go longer if we have the time. Everything is tossed into a resealable bag — there’s green onion, ginger, garlic, fish sauce, lime, a little sugar, coriander and some spice from Sriracha. Then after some time marinating, they are ready to grill. When it’s time to grill, use both indirect and direct heat. 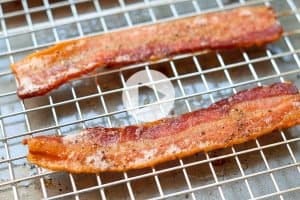 Start them skin-side up over low or indirect heat, close the lid and leave them for 10 to 15 minutes. Once the skin and fat have rendered, grill the wings over high or direct heat, turning occasionally, until golden brown and just slightly charred. To serve, we whip up a quick and simple dipping sauce made from mayonnaise, a little Sriracha and lime. It’s creamy, a tiny bit hot and has just the right amount of bite from the lime. By the way, this recipe works beautifully with chicken thighs and chicken breast so be sure to print it, pin it or save it however you like. Enjoy! YOU MAY ALSO LIKE: If you are looking for more grilled wings recipes, these parmesan dusted, lemon garlic chicken wings are here to help. 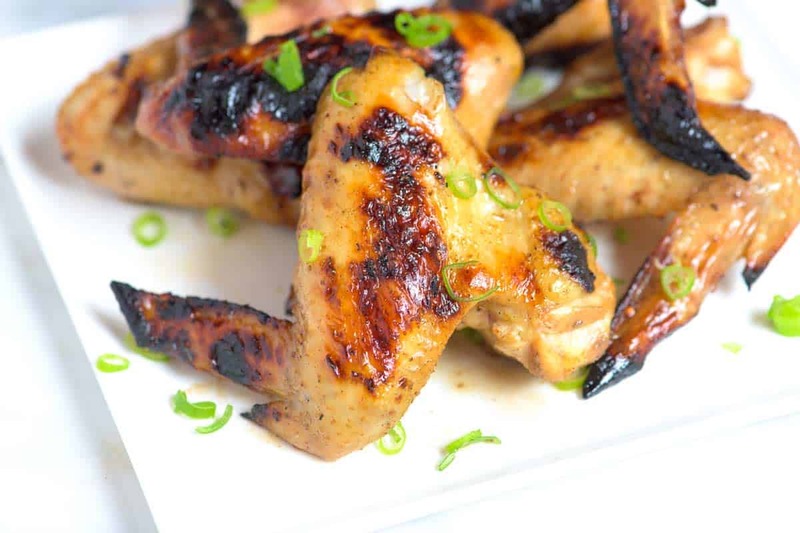 Jump to the Lemon Chicken Grilled Wings Recipe. These Vietnamese pho-inspired wings are a must-try. By first grilling the wings over low, indirect heat the skin and fat render. Then we move the wings to a hotter, more direct heat until they become golden brown and slightly charred. Cut the scallions where the white turns to green. 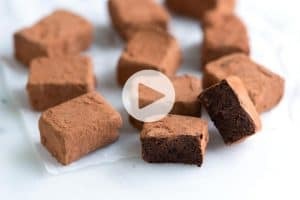 Remove the ends then chop the white part and save the green tops for serving. 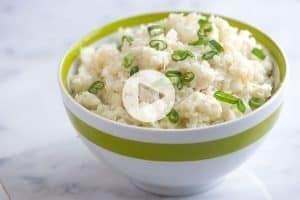 Combine white part of scallions, ginger, garlic, lime zest, lime juice, fish sauce, oil, Sriracha, sugar, coriander, pepper and clove in a large resealable plastic bag. Add chicken wings, seal bag, and turn to coat. Chill at least 1 hour or overnight. 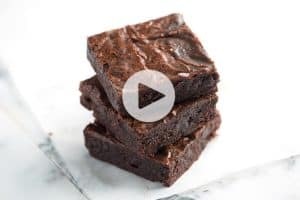 Make dipping sauce by combining mayonnaise, Sriracha, lime juice and black pepper in a small bowl; season to taste with salt and/or more Sriracha. Transfer wings to a platter. Thinly slice the green ends of the green onion from earlier then scatter over wings. Serve alongside dipping sauce. Fish Sauce Buying Guide: Our fish sauce sits within arm’s reach of our stove. We use it in everything and absolutely will not make pho soup without it, which is why you see it in this recipe. We’ve come to trust the Three Crabs brand of fish sauce, which you can buy online or in Asian markets. When shopping for fish sauce, look for glass bottles, not plastic and allow price to guide you. Go for the mid to high priced fish sauce (which will run you $4 to $5). You can sometimes find fish sauce in grocery stores, but we’ve had the most success shopping at International or Asian markets since they have a much better selection. Another premium fish sauce brand is Red Boat. It’s excellent.